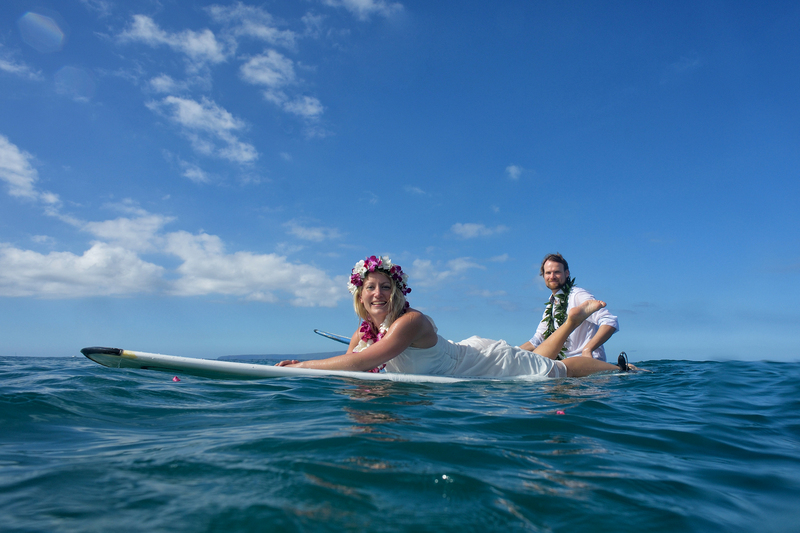 We’re excited to offer the addition of Surfboard Weddings to our Maui wedding packages! If you don’t surf, don’t worry! Our large paddleboards are easy to balance on. 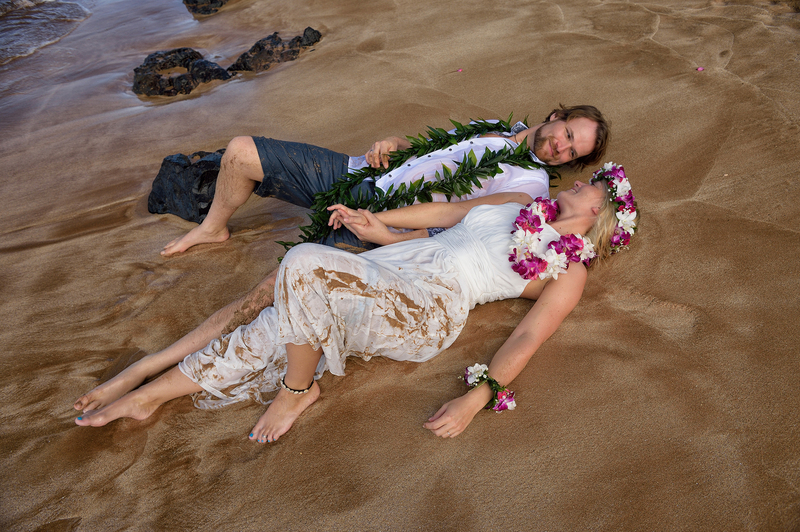 The package comes with flowers, photography, and everything you need for your special day. 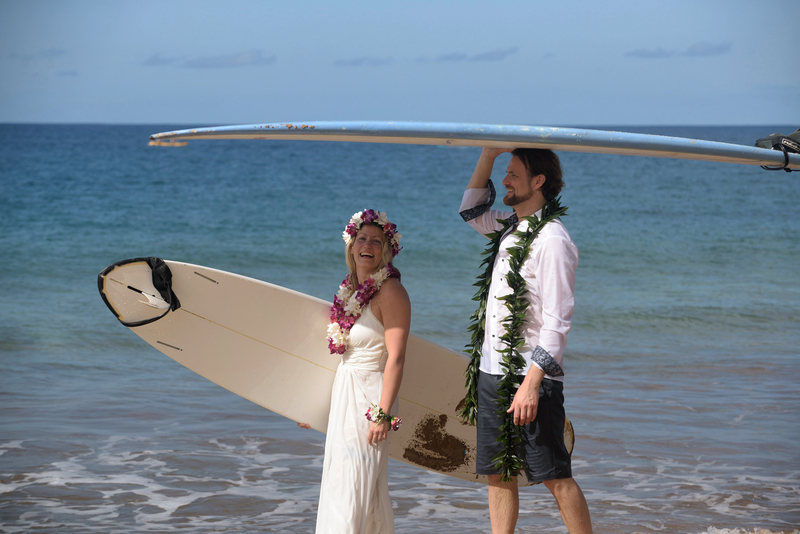 Find out more about our Surfboard Wedding package, or check out the photos from one of our recent surfboard weddings below.